Bob McVean coaching during a game. McVean and the Tigers are in contention for a Liberty League postseason berth. 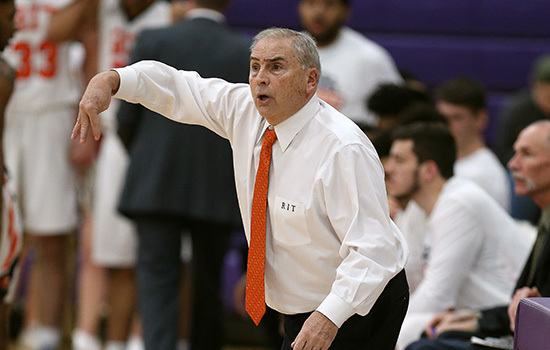 Follow www.ritathletics.com for all things RIT basketball.